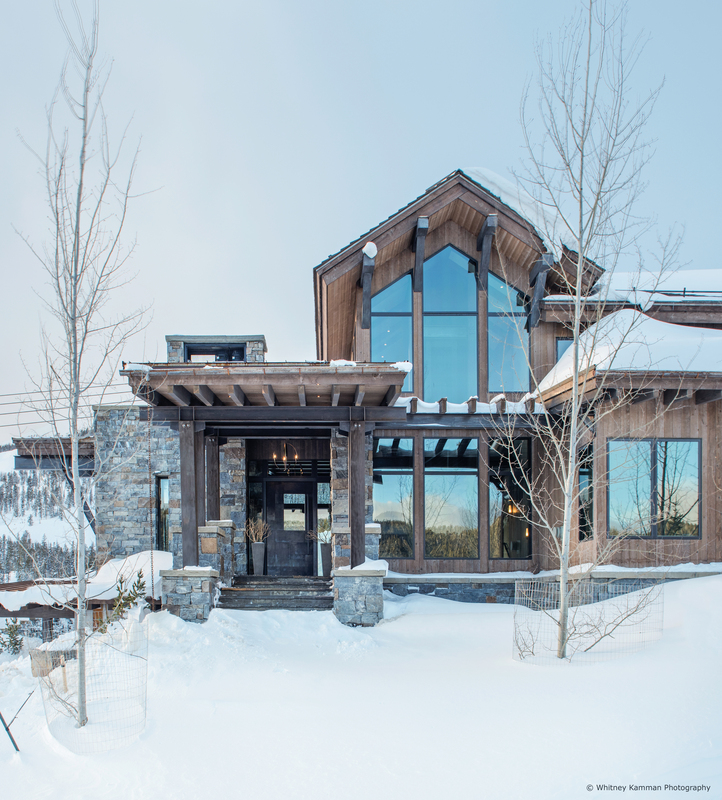 For outdoor enthusiasts Bob and Pam Norton, the town of Big Sky, Montana, was a natural choice for the location of their second home. 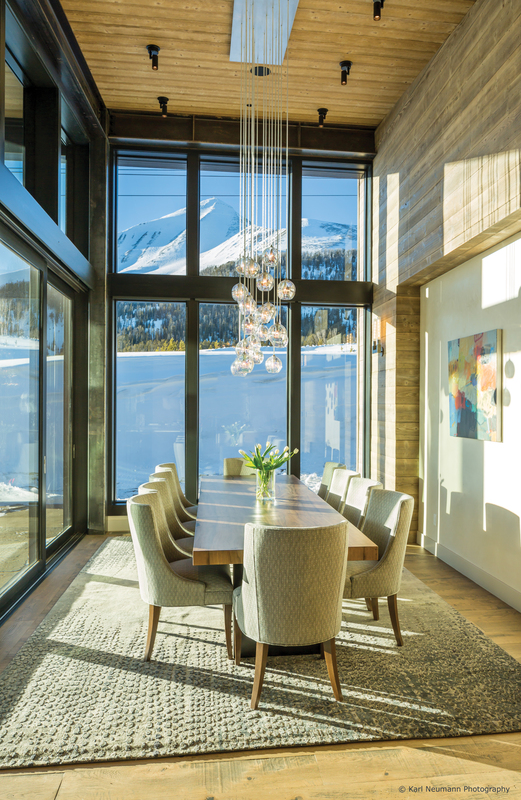 Having purchased a remote lot in the Rocky Mountains with panoramic views, they envisioned a private, year-round retreat that integrated with the terrain. "We wanted to live in the view," says Pam. "We wanted the outdoors to come in." To provide year-round accommodations for family and friends, the Nortons created a bunk room and provided a convenient elevator for easy access to the third floor. 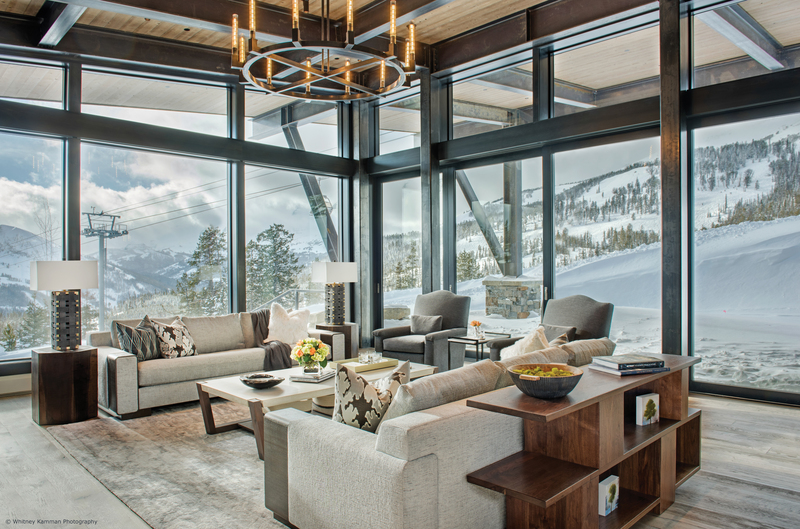 For the ultimate connection to the outdoors, a ski room with boot dryers and lockers enables ski-in, ski-out access to the slopes in winter. "We definitely designed the home with family in mind, hoping that our grandkids . . . and grown children would come and enjoy all different seasons," says Pam.